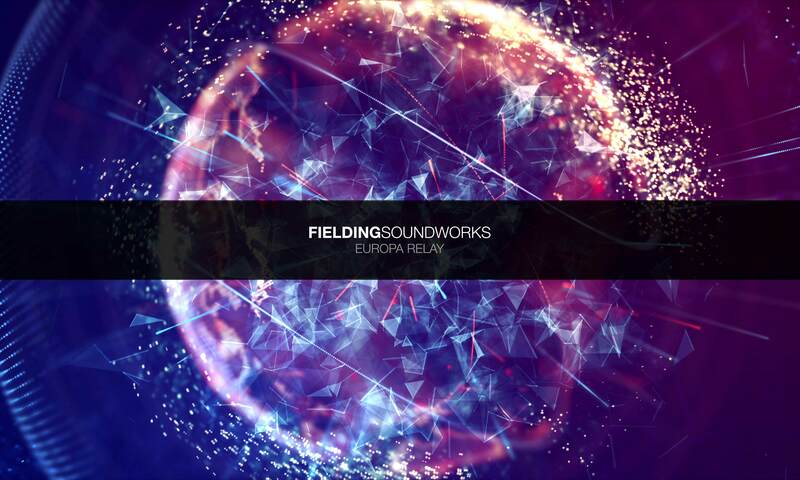 Following on from working on the Europa factory sound-bank and composing various pieces for Reason 10's launch, I'm incredibly happy to announce the first ReFill release from Fielding SoundWorks - Europa Relay, the world's first third-party ReFill dedicated exclusively to Europa! Europa Relay is a huge cinematic ReFill for Reason’s Europa synthesiser. Relay consists of 150 patches, with a focus on stunning ambient textures, atmospheric pads, deep chords, massive bass, rhythmic sequences, and expressive keys. Following on from working on the Europa factory sound-bank, Relay was built with the idea of pushing Europa’s strengths as a versatile, highly modulatable sound source. The patches contained sound richly detailed, and are also designed to be quickly usable in a real-world composition & production environment. Whether you’re looking to give your productions a slick cinematic flair, or whether you’re after an eclectic sound-bank to use as a complete palette of sounds, Relay is for you. Relay was inspired by a multitude of expressive electronic music and cinematic scores. Deep Boards Of Canada-twinged chords, hugely detailed Steve Roach-esque soundscapes, and aggressive electronic bass drones a’ la Mick Gordon’s Doom soundtrack complement an impressive array of keys, sequences, and synth leads to provide you with a well-rounded, versatile sonic palette. All of the patches contained in Relay are designed to sound great out of the box and in the mix, and include full mod-wheel mappings in every patch. Two demo project files are also included alongside the ReFill. Relay requires Propellerhead Software’s Reason 10 to use. A small selection of free sounds is available from the Fielding SoundWorks site, so please feel free to try these to get a feel for the sound-set itself. Europa Relay is available now for £24.95. Congratulations on the release! This is a fantastic sounding set. sounds amazing, Adam! Congrats on the release. Very nice website as well. Downloading now - love your work with Massive, can't wait to see what you've come up with for Europa! Inspired by "a multitude of expressive electronic music and cinematic scores", Europa Relay consists of 150 patches with a focus on, among other things, ambient textures, atmospheric pads and massive bass. When you know the quality that Adam Fielding is usually synonymous for and listen to a demo made using only patches from Europa Relay, you know you're in for a treat! It sounds so modern and cinematic. Very well done, and I like the 'box art' graphic design. I decided to put together a short(ish) video detailing the thinking behind one of the ambient patches called "Windwave". This covers things like how the different engines produce different elements of the sound, how the harmonics section can alter the timbre of an engine, and other fun stuff like that. Windwave is available in the free demo ReFill, available on the Fielding SoundWorks site. edit: Europa Relay is now available via the Nucleus SoundLab store! I'm sorry to hear you feel that way - it's always a bit of a balancing act to create a sound-bank that caters for all tastes, and while I appreciate your preference for the softer key patches I'd say that it's more of a multi-genre sound-bank. For what it's worth, the AMB patches can make for wonderful soft pads with some very minor amp env tweaks and filtering. That said, I totally take on board what you're saying about providing more individual patch examples - perhaps I should be clearer in explaining what exactly is in each pack, and while I think the demo songs do a good job of showing off the kind of results you can get in a real-world setting it certainly couldn't hurt to show the patches off individually.